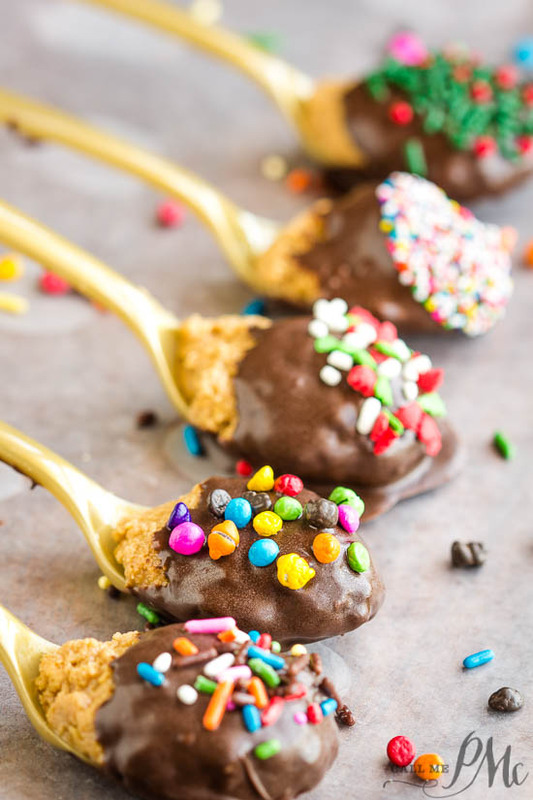 Buckeye Chocolate Peanut Butter Truffle Spoons – Decadent portions of peanut butter truffles dipped in chocolate to stir into hot chocolate or eat as dessert. 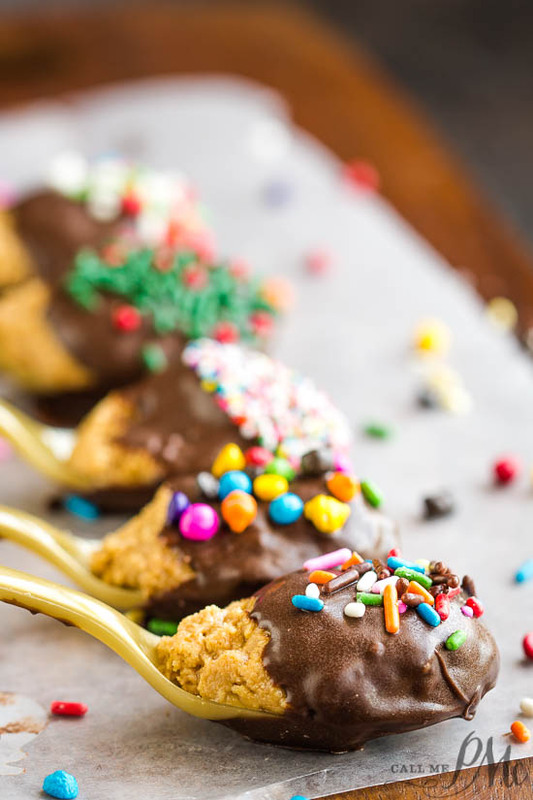 These spoons are easy to make, fun to make with kids, and make great gifts or party favors. 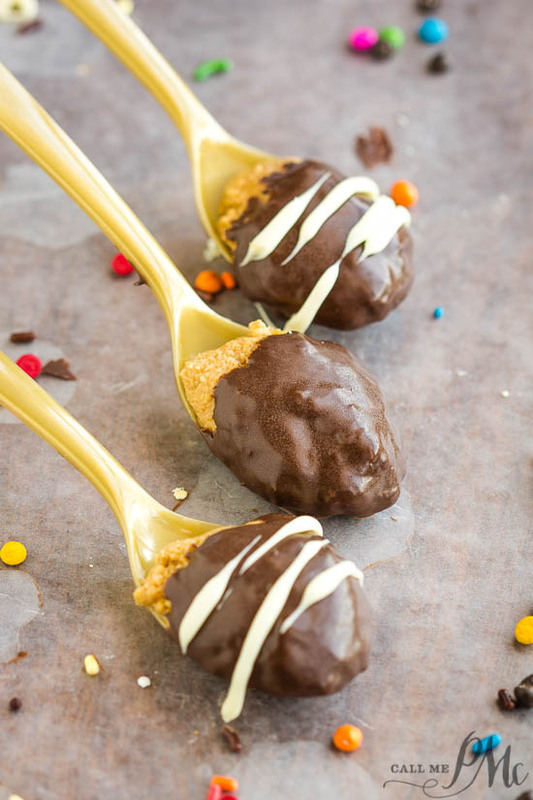 I took inspiration from my favorite candy, Reese’s Peanut Butter cups, for these Buckeye Chocolate Peanut Butter Truffle Spoons. They make fun gifts. 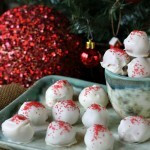 They can also be stirred into hot chocolate for a rich, decadent twist. 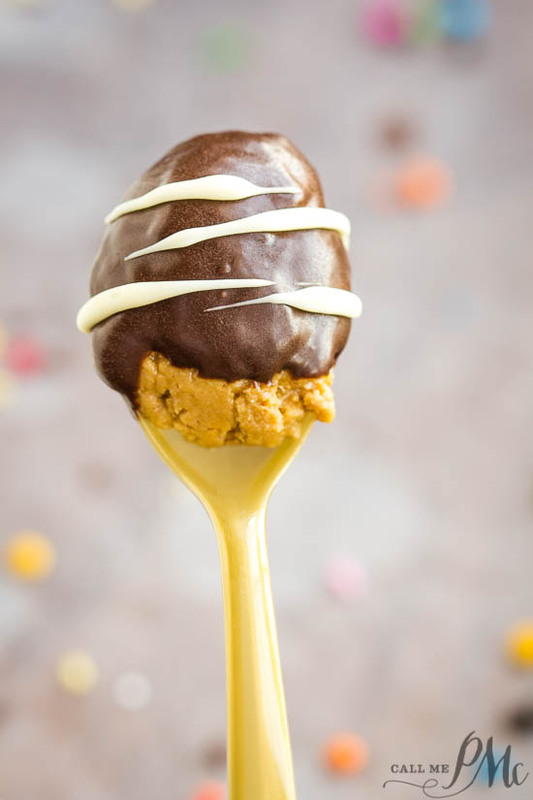 After all, peanut butter and chocolate is the best combo ever! 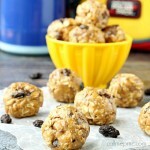 This is a fun recipe to make with children. 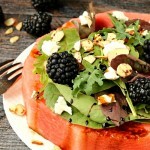 You don’t have to cook anything which makes it quick and easy. 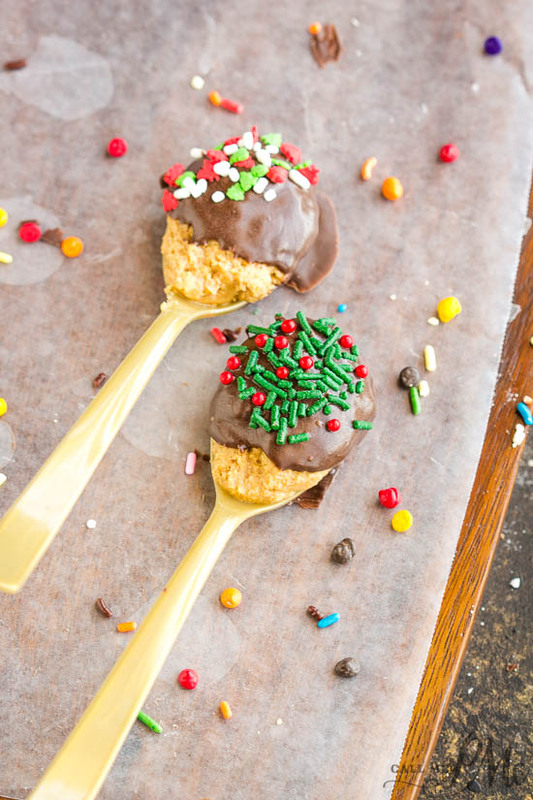 For the spoons, you can use plastic, wood, or ‘real’ spoons. I used gold plastic spoons that I found at Walmart on the party aisle. For gifts, it’s nice to get antique silver spoons for a touch of elegance. I got a little ‘carried away’ taking pictures of these. 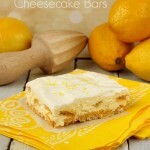 But, I wanted to show you different options of how to decorate them. They can be decorated for any holiday or birthday party for boys or girls. 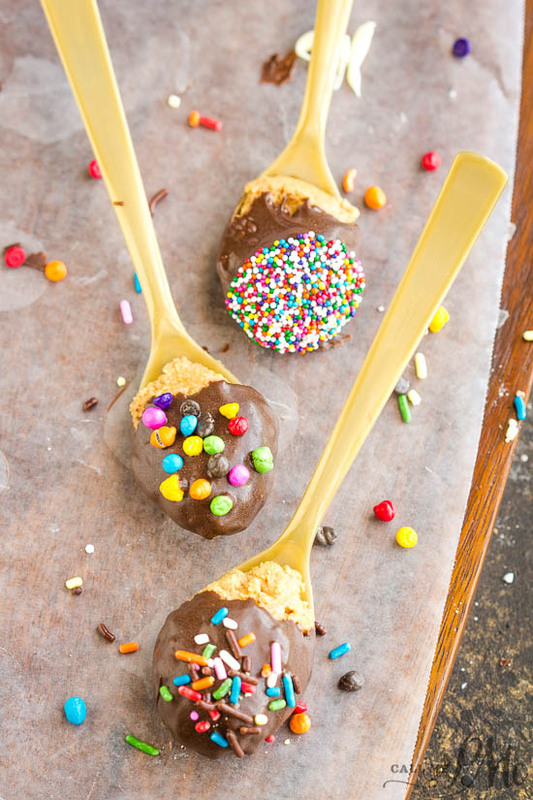 I like to use these chocolate candy melts. For a ‘nice’ plastic spoon that looks metal, try these Silver Spoons. 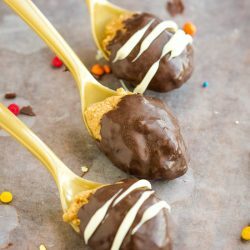 Buckeye Chocolate Peanut Butter Truffle Spoons -Decadent peanut butter truffles are dipped in chocolate to stir into hot chocolate or eat as dessert. Scoop a small amount of peanut butter mixture into each spoon. Repeat with all the spoons. 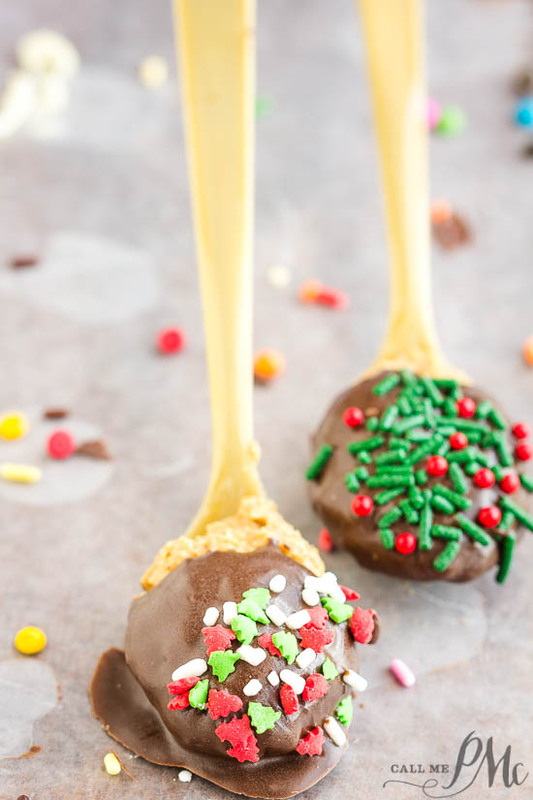 Dip each spoon into melted chocolate and immediately sprinkle with desired toppings. Carefully lay on waxed paper or parchment paper to dry. Store in an airtight container or wrap for gifts. What an incredibly fun idea!!! My grandchildren will have so much fun decorating these when they come to visit!!!! 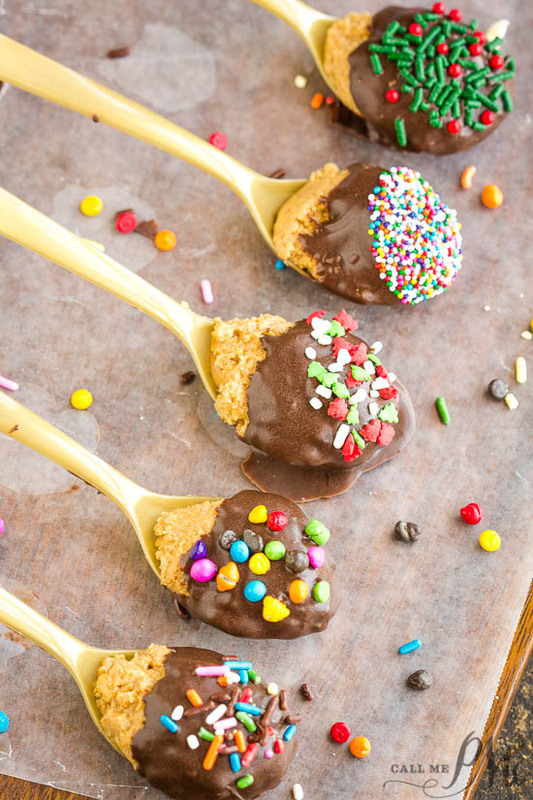 These are such a fun idea! Can use throughout the year with different holiday!